Trying to find an efficient way to reaching level cap? Here are our tips and leveling path to reaching level 30. Here is a map view of the leveling path you should take. Not only do these offer the largest experience points outside of main missions, but they also give out blueprints for gear and weapons to be used in the crafting station found inside the Base of Operations. If you complete all available missions for each area before moving on, you should be level 30 even before the final 3 areas. 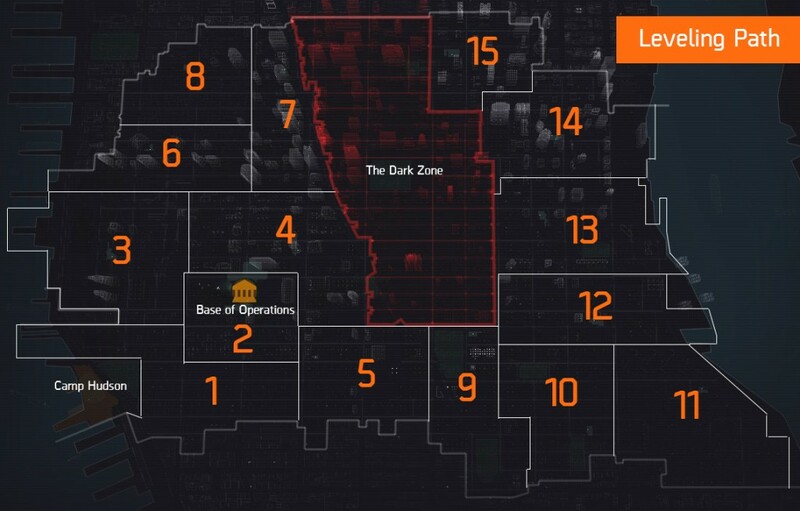 Once you finish all the side missions in the Base of Operations area, Pennsylvania Plaza, and the Camp Hudson Area, Chelsea, a new side mission will unlock. This side mission will lead you to the next safe house which is in Hudson Yards. Every time you finish all the side quests in an area, a final side quest will appear back in the safe house. Always turn this one in right away not just for the experience points, but also because it will again lead you to the safe house of the next area. Don’t forget to do the main missions! Once you reach the recommended level for any main mission, do it right away. These offer the largest amount of experience but will only grant them on first time completion. Each main mission should award about half a levels worth of experience. 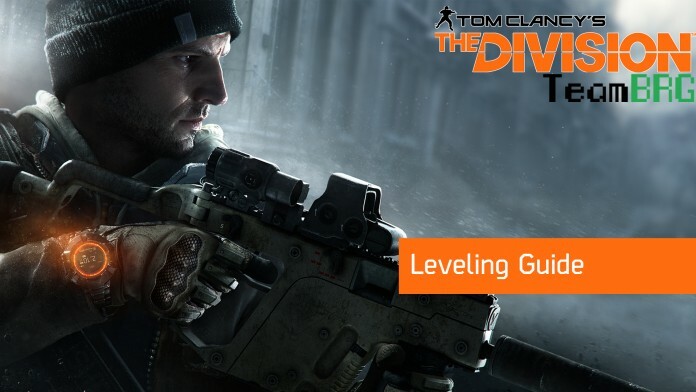 Hopefully this leveling guide will help you reach level 30 efficiently in The Division! Stay tuned for many more guides! Like us on Facebook for more of our gaming guides. Check out Patreon on how you can show some love to TeamBRG.